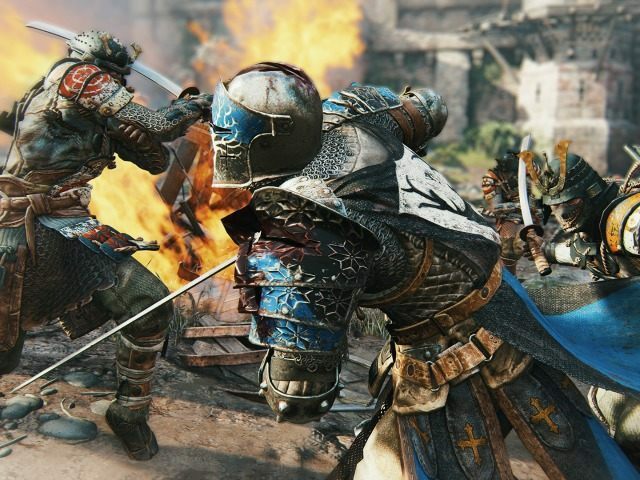 Ubisoft announced For Honor, a new multiplayer melee combat game that pits knights, samurai, and vikings against each other. The game features a melee combat system that gives players a large degree of control over the angle and direction of their attacks and blocks with their swords. The developer also featured role-playing game South Park: The Fractured But Whole and medieval war game For Honor. For the Tom Clancy franchise, Ubisoft premiered first-person shooter Rainbow Six Siege and player-vs.-player action from massively multiplayer online game The Division before announcing shooter Ghost Recon Wildlands. Racing games The Crew and Trials Fusion will receive an off-roading-intensive Wild Run expansion in November and the Awesome Level Max expansion in July, respectively. A trailer for Victorian-age Assassin’s Creed Syndicate was showcased, and subscription streaming for Just Dance 2016 music tracks was revealed for PlayStation 4, Wii U, and Xbox One gamers. Ubisoft also announced sci-fi city simulator Anno 2205 and racing game Trackmania Turbo, which will be on PlayStation 4 and Xbox One.